In this tutorial, you'll create a simple serverless web application that enables users to request unicorn rides from the Wild Rydes fleet. The application will present users with an HTML based user interface for indicating the location where they would like to be picked up and will interface on the backend with a RESTful web service to submit the request and dispatch a nearby unicorn. The application will also provide facilities for users to register with the service and log in before requesting rides. 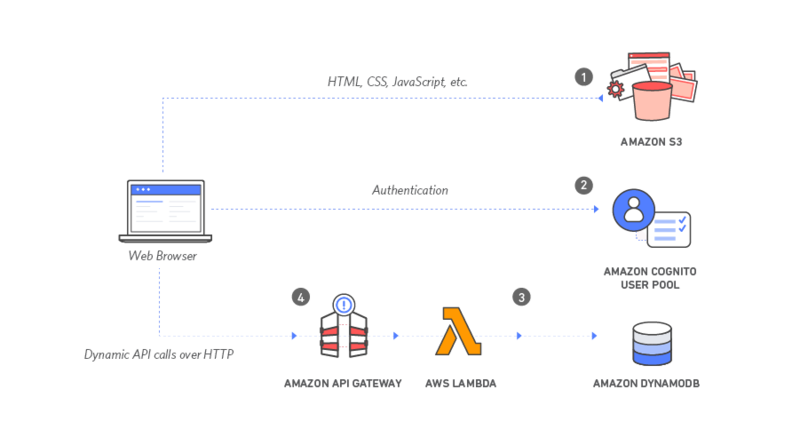 Amazon Cognito provides user management and authentication functions to secure the backend API. 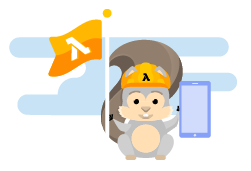 Amazon DynamoDB provides a persistence layer where data can be stored by the API's Lambda function. This tutorial is broken up into five modules. You must complete each module before proceeding to the next. However, modules 1 and 2 have AWS CloudFormation templates available that you can use to launch the necessary resources without manually creating them yourself. The templates let you skip those modules. **Accounts that have been created within the last 24 hours might not yet have access to the resources required for this tutorial.